Nail A College Drop Out: Black Black No Swap Back! About a month or so ago I swapped with Rebecca over at rebecca likes nails and this is what I got. 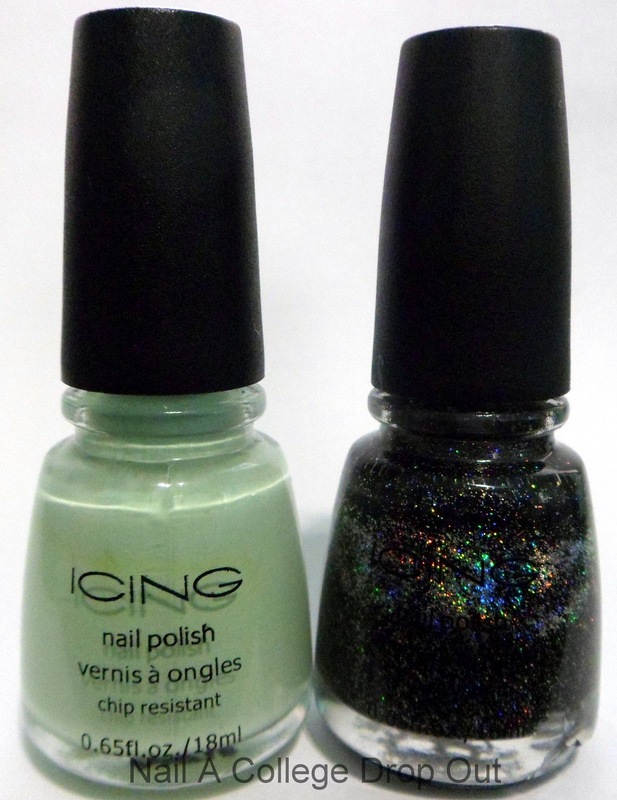 Icing Mint 2 Be & Icing Blackout. Both of them are right off my wish list. There are few things that excite me more than new nail polish! OMG, you need to swatch Blackout ASAP. It looks amazing in the bottle.